Lots of work, lots of taste. In a really good coffee you can find more aromas than in the best red wine. And as with wine, not only the vineyard, but also the dedication of the producers is extremely important to obtain a “Grand Cru”. 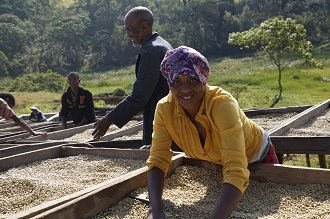 For two months of the year, coffee farmers in Ethiopia wander through their coffee forests to pick only the red and really ripe coffee cherries by hand. Harvesting with a machine would of course be much faster – but never so careful. 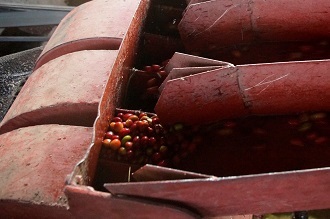 And unripe coffee cherries leave an unpleasant taste that can easily be recognized in a cup of properly roasted coffee. 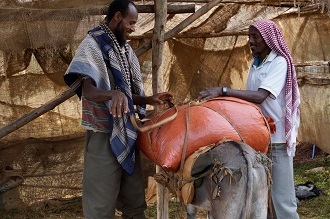 Every evening in the harvesting season, the farmers meet at the cooperative to deliver the freshly picked red cherries on donkey’s back, motorcycles or their own backs. In the dark, the beans are separated from their flesh in the wet mill, washed and then stored for one night in small fermentation pools. 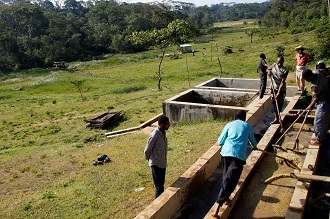 Early the next morning it goes on: The basins are emptied and the farmers wash the beans again with the help of rakes to remove the last bit of fruit pulp and mucilage. What is requested there ? Power and strength! Then the wet beans come still dripping onto the drying beds. They dry on it for about eight days being covered up every night so that even a sudden rainfall can’t affect their quality. 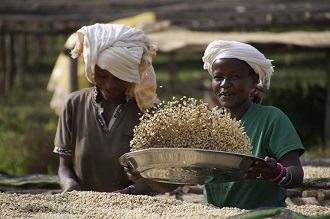 Once again, the cooperative’s employees scrupulously go over all the beans to pick out beans with flaws. 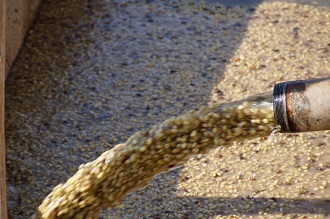 This is not just about beauty: insect bites or damage caused by the wet mill can adversely affect the taste in the cup.